From goodreads: Crank Wilson left his South Boston home at sixteen to start a punk band and burn out his rage at the world. Six years later, he’s still at odds with his father, a Boston cop, and doesn’t ever speak to his mother. The only relationship that really matters is with his younger brother, but watching out for Sean can be a full-time job. The one thing Crank wants in life is to be left the hell alone to write his music and drive his band to success. If I loved Just Remember to Breathe, I absolutely adore A Song for Julia! It’s so many things that I don’t even know where to start. Truthfully, I think it was the combination of a few things, the political backdrop, heavy emotional topics and the beautiful romance between Crank and Julia. Not only is the writing fluid but the characters are filled with depth, each having their own story to tell. The story is told in an alternating POV which helped me understand Crank and Julia to the fullest. Every character touched me in one way or another and I was moved to the point I didn’t want it to end. I even tried putting the book down and pretend it wasn’t there just so it would last longer but clearly, that didn’t work out too well. The way Charles weaves the past and present is like putting a puzzle together, he does it in a way that’s not distracting. Crank and Julia’s relationship is not rushed and there’s the perfect amount of push and pull that makes the story interesting. Both have their own emotional scars and sets of challenges with their respective families. Julia is the perfect heroine, she’s not irritating and she’s a survivor. What’s not to love about Crank? I kinda love his name too!!! I thought that Crank might be the leading bad boy in the book but I was totally wrong. He’s a musician that takes care of his family and wants to become a better man. I grew attached to Crank’s family because they were portrayed in a way that’s humble and real. Julia’s family on the other hand and I’m referring to her parents, did not inspire that same feeling. The supporting characters, I loved them all!!! I loved Sean, Jack, Margot and Crank’s band-mates. The friendship Julia forms with Sean was one that tugged at my heart-strings because it hit a little close to home. 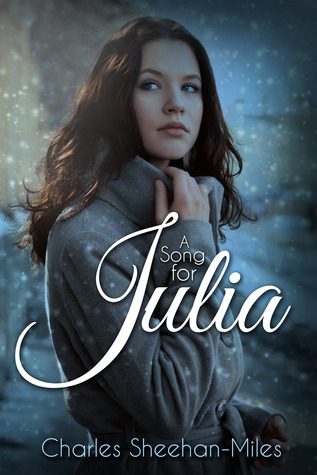 This is a story that will move you and you can’t help but cheer Crank on the entire time because you WANT him to win Julia over. However, that is not an easy task because Julia’s scars run deep. It’s definitely an emotional rollercoaster ride! My final two cents: I love everything about this book so add it to your TBR!